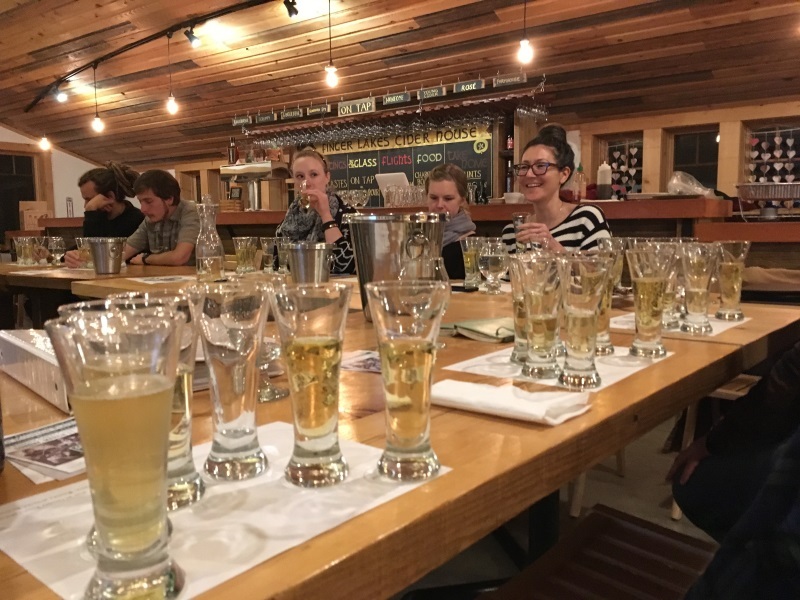 Three and a half years ago, the Finger Lakes Cider House opened its door with a unique idea: provide a retail space for cider friends and colleagues who didn't have one and simultaneously become a destination for tasting cider from multiple producers in one spot. 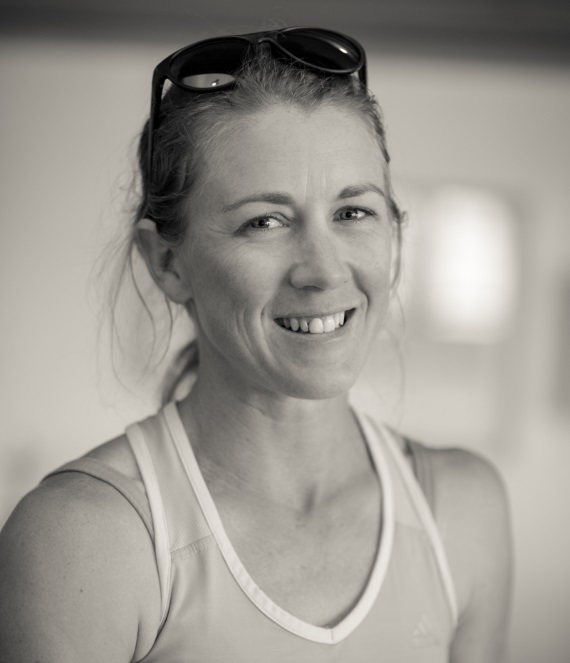 We've been proud and honored to be part of Melissa and Garrett's ambitious project. 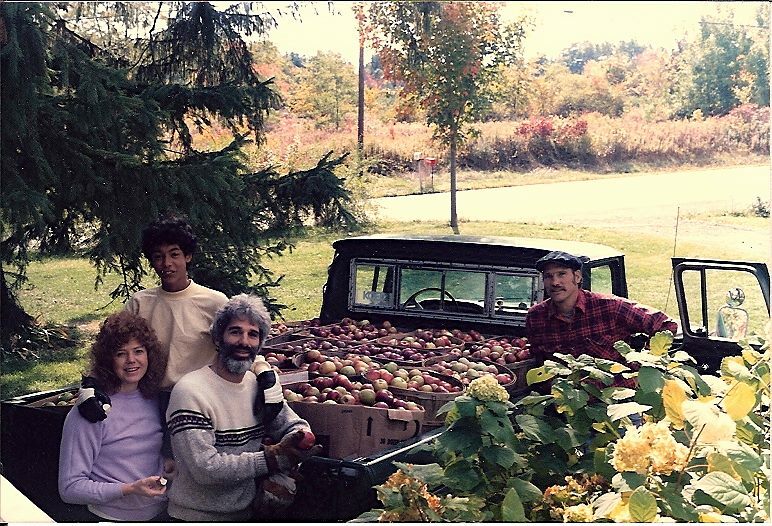 Since 2015, the cider industry as a whole has evolved, the Cider House has evolved, Eve's has evolved, and at this point in time, we are ready to tell the story of our land and our cider in our particular voice. 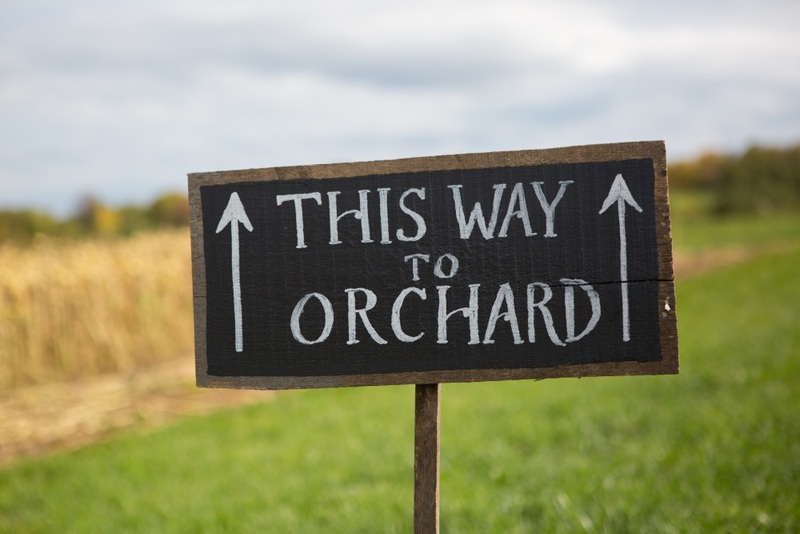 We believe that the future of cider in our region lies in it's ability to tell the story of the land, a story about the way in which a specific place can be translated into cider, a story that connects people intimately to a place through what's in their glass. We believe people will be most interested in the region when they can get to know individual producers and their specific sites and we'd like to get better at helping folks do that. We love and admire Melissa and Garrett and are excited to continue to work closely with them as me move into our next chapter. 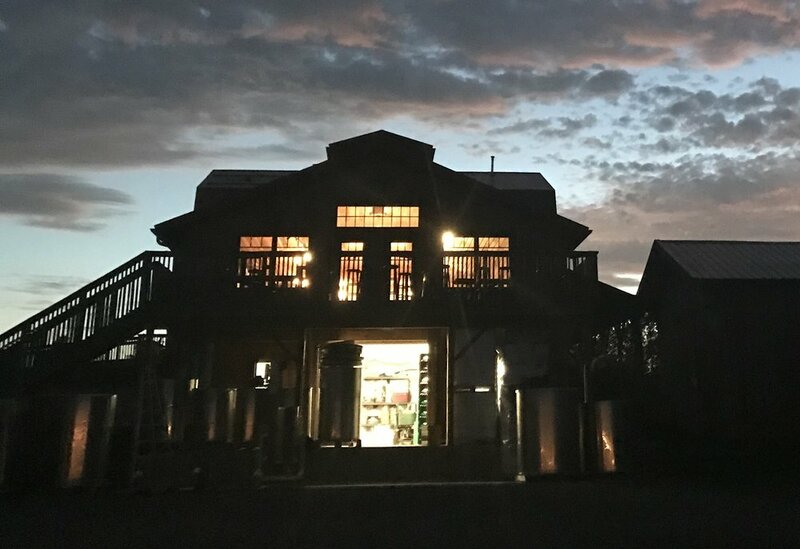 In thinking about the pending 2017 vintage, we asked each participating FLCH cidery to provide us with their outlook to date. 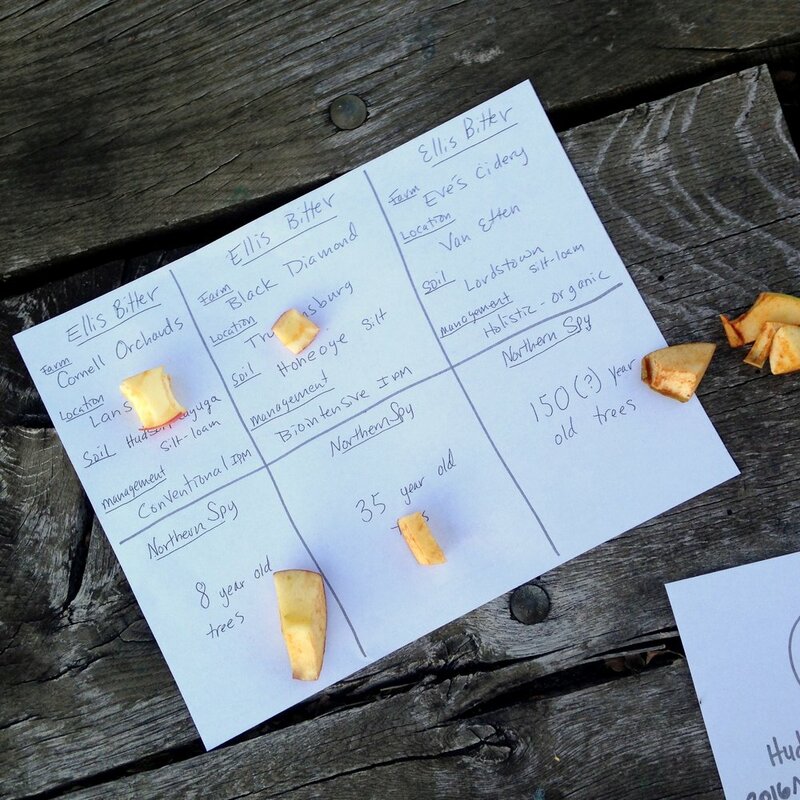 Par for the course, Eve's Cidery served up a thorough analysis of the season, and here goes! I said the word 'unseasonable' so many time during the 2017 growing season, that the word lost it's meaning. As I write this at the end of October, clouds in balmy grey skies move comfortably on 78 degree breeze, and I wonder: was there ever any such thing as a season? In March we had had the now common yet still feared early spring warm up. The trees raced ahead with bud phenology and we bit our nails and gnashed our teeth, worrying about a repeat of the 2016 freeze out. 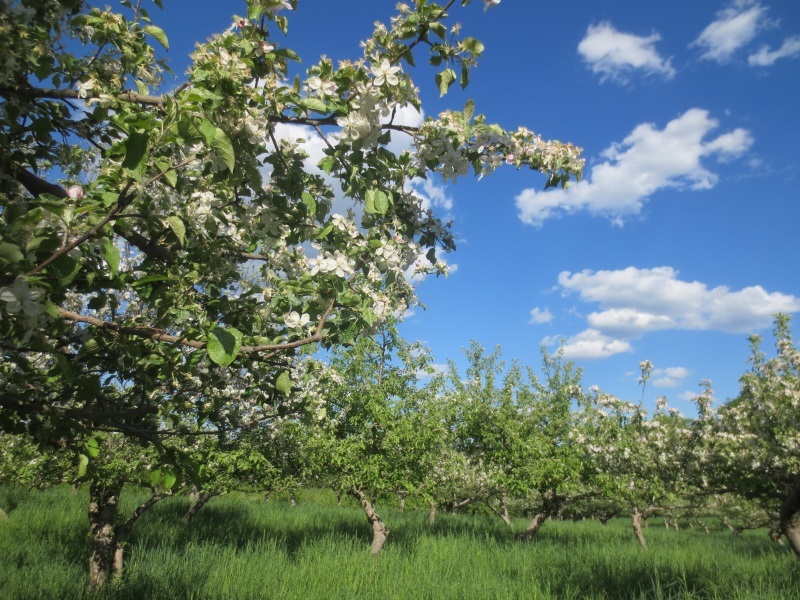 This time though, things cooled right down in early April, and despite the endless rain and cold, blossoms were pollinated and fruit set. The notion of a humid Northeast climate and all the fungal challenges that come with it was fully manifest this year: by midsummer, many wild trees, and abandoned or mismanaged orchards had lost their leaves due to scab (venturia inaequalis) or rust (gymnosporangium juniperi-virginianae) or both. 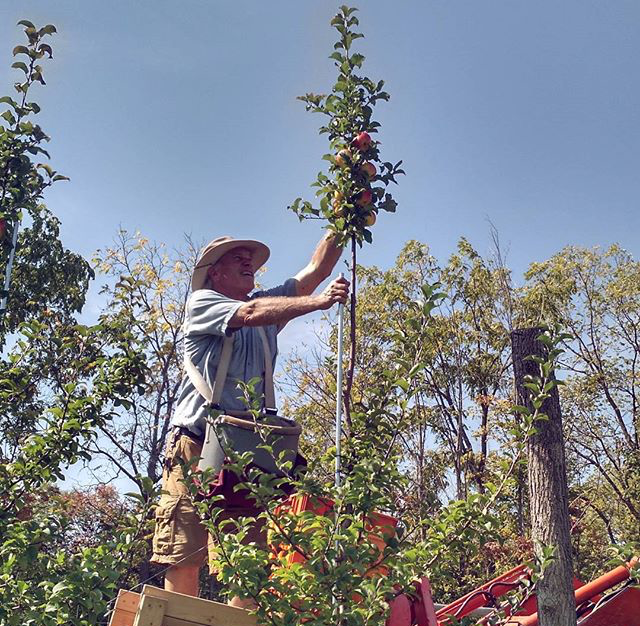 But this was only a minor part of the story of our orchards in 2017, thanks in part to an amazing holistic management program (more about this later) we been working on for a number of years now. Just when September rolled around the corner and the harvest was about to start, the unseasonable fall-like summer ended and the summer-like fall began. In early September it dried right up and got hot. The first week of 85 degree plus weather was welcome. We went swimming (unlike the rest of summer!). The next week we started to get annoyed. By the third week of this unseasonably warm, dry weather, we started to get worried. 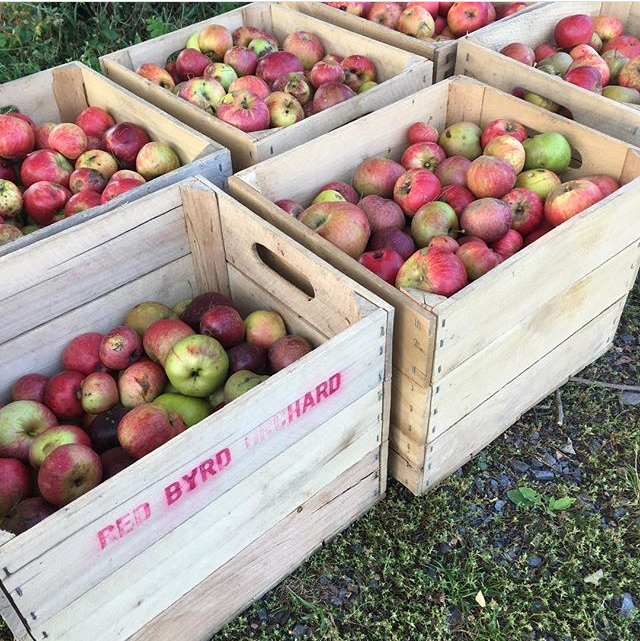 The harvest season was suddenly compressed from a 6 week season to a 3 week one as all the apples started falling off the trees at once. Some of it was early ripening, but not all. ripeness was all over the place. Which apples fell and dropped seemed to have no rhyme or reason. Starches were high in some fruit. Acids started dropping. Brix stayed surprisingly low. As all this fruit was dropping we scrambled to keep up. The hot temperatures meant the apples couldn't sit around. No picking a little of this and a little of that. No thinking about blends. No sweating this year. Just pick and press. Fill bins and empty bins. All hands on deck. In the nick of time, our friend Rich Gurney swooped in to help with harvest and pressing and I honestly don't think we could have done it with out him. And as I write today, 80% of the crop is now in tanks bubbling away. 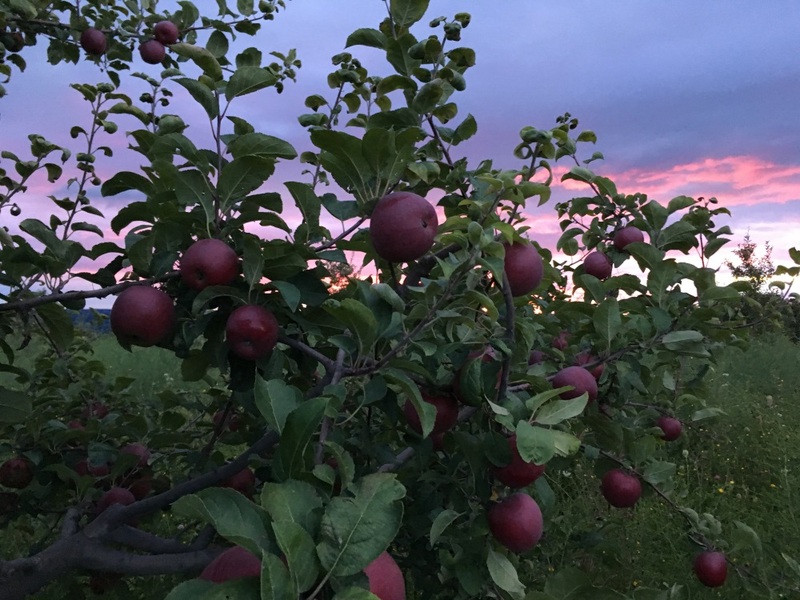 If I had to make a prediction about the story our 2017 ciders will tell, a story you'll get to taste in a year or two, I'm going to say it's a story about resiliency. It's about ecosystems and the micro-biome as radical alternatives to industrial-chemical agriculture in the face of climate chaos. When 'normal' starts to fail, so do the normal ways of doing things. There has never been a better time to look to nature for a new way of farming. And there has never been a better time to be a cider drinker, dear reader. 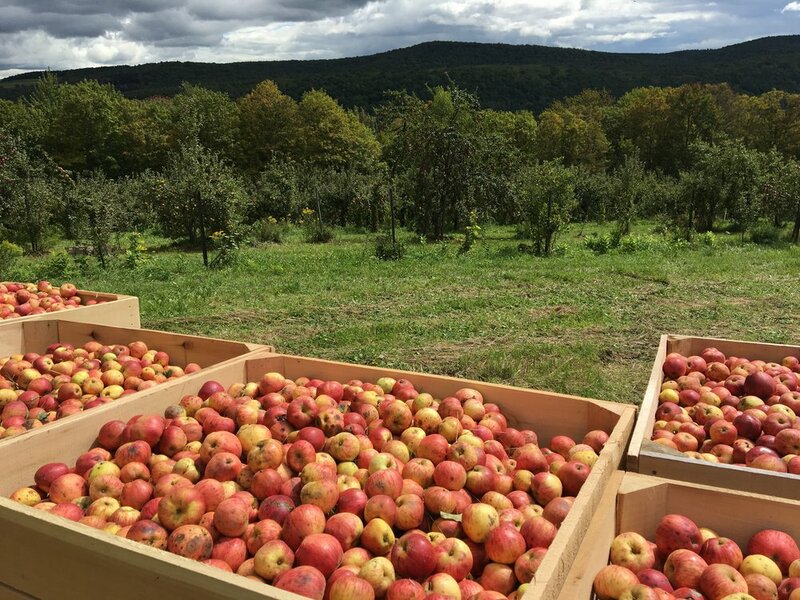 While the market is flooded with faceless, nameless ciders made from commodity industrially farmed apples, they are easy to ignore. 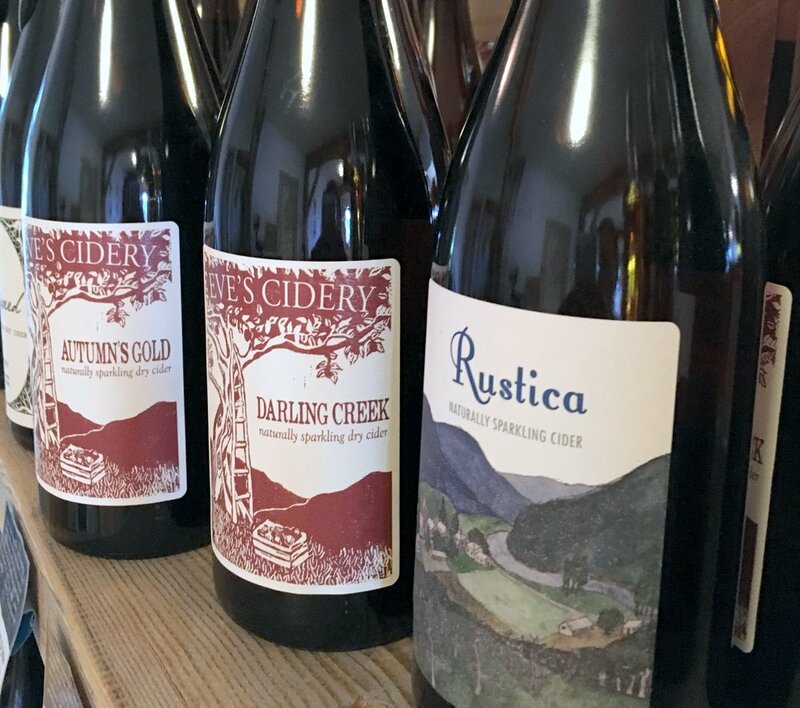 Seek out the ciders that tell a story of the land. Seek out ciders that tell a story of the season. That's the power of a really good cider. The premise of the staff training was 'Bittersweet apples, Natural bubbles', but the implications were deeper. 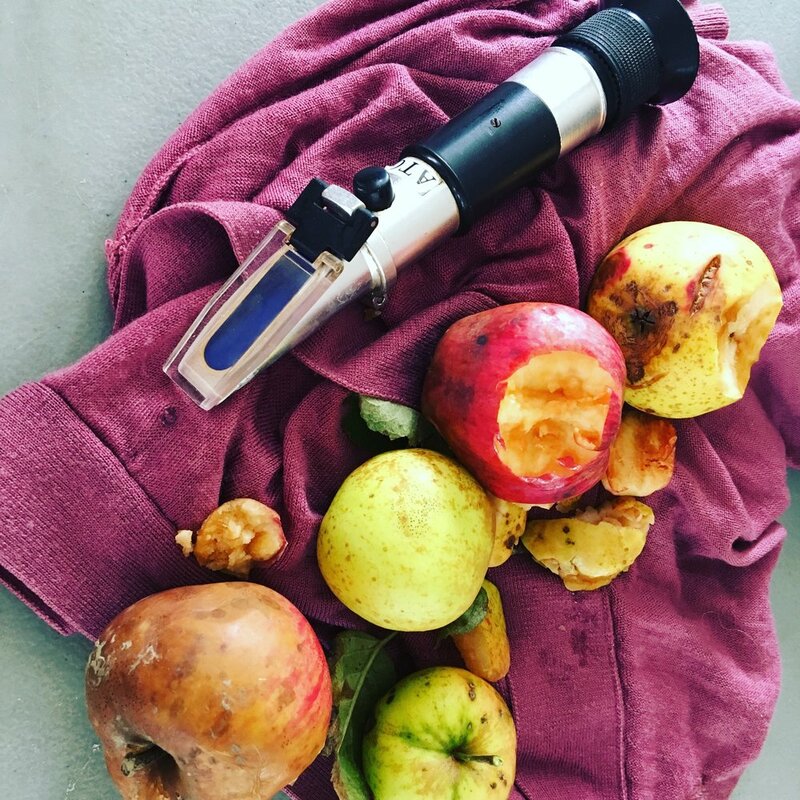 What does it mean to make cider with true cider varieties instead of left over supermarket apples? 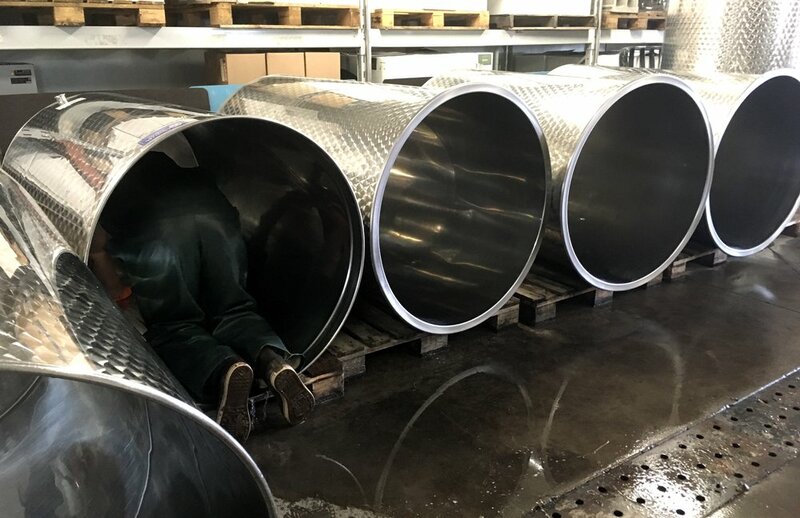 What is the point of going through all the effort of using the traditional method to make bubbly cider? 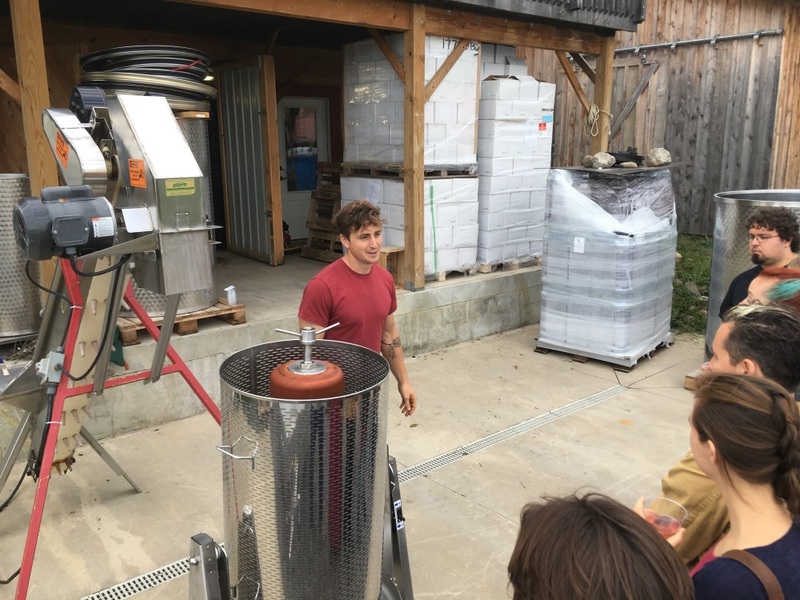 Ezra gave a lesson on the art of disgorging, a processes for removing the yeast after an in-bottle secondary fermentation and Autumn led the group through a tasting of our 2015 Autumn's Gold and two French Ciders from La Perche and and Pays d'Auge, all made from bittersweet apples. The lessons were interesting but afterward we sat around in front of the cider barn watching the sun set and enjoying a simple farm meal. As we ate, the French cider began to grow on everyone. 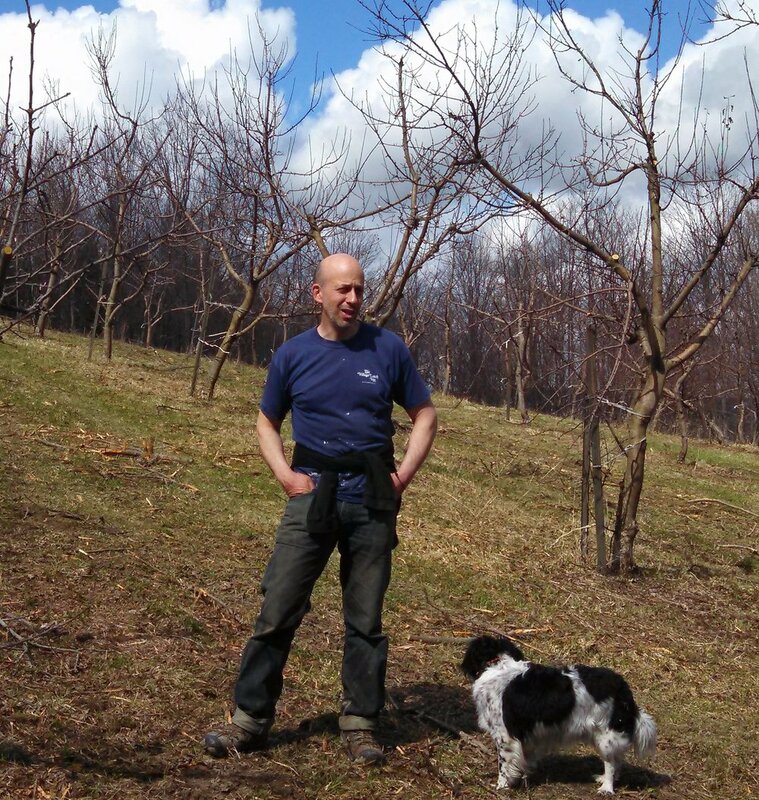 We talked about 300 year old apple trees, the story that well-made cider tells, and traditions that link us to farms across continents.